If you are currently trying to sell any product or service online, then it’s not good to ignore prospective customers that happen to be right around you in the city of Austin. 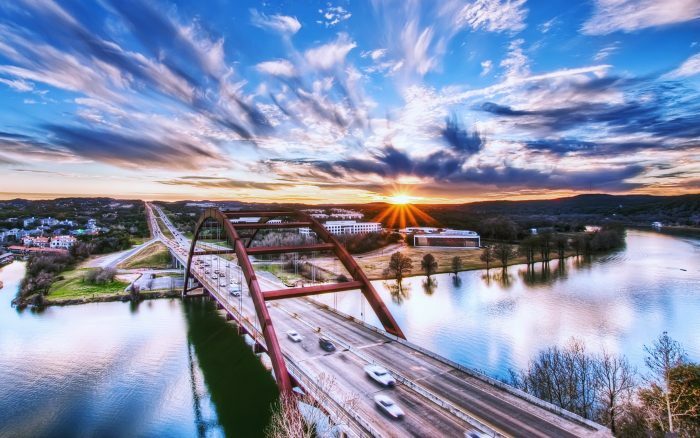 While Austin might not be as big as Houston or Dallas, it’s quite a sizeable market in its own right, and millions of local consumers and businesses might just be needing what you have to offer them. As people are increasingly turning to the Internet for their local searches, you need to make sure you’re doing the right local search engine optimization that can reach them. One simple way to start attracting more locals from search engines is through the use of local keywords when you optimize your site. For instance, if your business runs a fleet of vehicles carrying HVAC technicians around, then you might want to optimize for ‘HVAC technicians Austin’. You might even want to branch out into various neighborhoods and communities across the city for further microtargeting. Also make sure that you submit your site to any free local search engine listings. A number of options are available to you, but Yahoo and Google are the two biggest players in this field at the time of writing. When you do your submission, add details regarding your business, including your physical address, phone number, website, office hours, and the like. Even get a map link to your physical location that you can then put on your website. When you target prospective local clients, make sure that every one of your page footers has your local address, phone number, and Google mini-map or link for your location. Doing so can help you out in local search engine results. Check out any local business directories for the city of Austin as potential sources of leads and traffic, but also be sure that you research those directories. Make sure they actually stand a chance of producing results for you. A lot of business directories pop up all the time, so only go with ones that have credible reputations. Make sure your website either is optimized for mobile users or has a mobile version that loads on smartphones and tablets, among other mobile media technology. Mobile devices account for more than half of Internet traffic now, and they are the predominant force in local search. So, your local SEO efforts in Austin will go to waste if you don’t have a website that loads on mobile devices. Google is even starting to offer mobile-only search results and directories that completely preclude desktop websites altogether, so this is certainly the wave of the future happening right now, and you should get ahead of the curve on this front. Don’t stop there, though. Make sure you have business cards and local mailings with your website address listed so locals can find you online at their own convenience. A lot of local business owners have yet to embrace online marketing, so if you get started now, you’ll beat quite a few of them out. July 22, 2018 kareng39Comments are off for this post. Welcome to Trustaustin. This is a blog where you can expect articles that will be nothing short of mindblowing. Because those are the only types of articles that we will be posting here. The articles will include everything, from product reviews, to details about businesses and everything in between. As you can already tell by our new website design, we are still working on it. And our team is crafting some awesome content for you behind the scenes. We have also cleaned up the entire website. And now it just has one column; the blog column. Because that’s where the most exciting content will show up. Within a week we should be up and running. So make sure that you return on Monday and we will have amazing information to share with our audience. May 7, 2018 kareng39Comments are off for this post.